Ballistics is a complex and highly technical subject. In this book, it will be covered only in sufficient detail to enable the reader to grasp the essentials. The subject is generally divided into internal and external ballistics. The first deals with the passage of the projectile up the gun barrel, the second with what happens to the projectile between the gun muzzle and the target. There is a third category -terminal ballistics - concerning what happens when the projectile hits the target, but that has largely been dealt with in the section on projectiles. Some of the issues involved in internal ballistics have already been touched on. The relationship between the calibre and weight of the projectile and the weight, form and chemical composition of the propellant, together with the barrel length, will determine the pressure exerted on the chamber and gun barrel by the expanding propellant gas, the rate of acceleration of the projectile up the barrel, and the velocity achieved at the muzzle. A high muzzle velocity is almost always regarded as desirable. In ground fighting, it provides a flatter trajectory and therefore makes it easier to hit distant targets. The armour penetration of solid shot is also, other things being equal, directly related to the striking velocity. In aircraft or anti-aircraft applications, high velocity reduces the time of flight and therefore simplifies aiming at moving targets. The problem is that high muzzle velocity carries penalties. To achieve a significant increase in velocity, far more propellant is needed which requires a larger and heavier cartridge case and a bigger and heavier gun. A longer barrel is required to give the projectile time to accelerate to its higher speed. Recoil, muzzle blast and barrel wear will all be much worse, and in an automatic weapon the rate of fire is likely to be less than in a lower-velocity gun of the same type. Trajectory diagrams for two loadings of the 25 X ¡84 Oerlikon KBB ammunition. Left: TP-T and HEI shells. Muzzle velocity v0 at +15°C = 1160 mis. Shell mass = 230g. Right: APDS-TlAMDS shells. Muzzle velocity v() at +15°C - 1355 mis. Shell mass = 156g. worthwhile further improvements. In most cases, a muzzle velocity of around 1,100-1,200 m/s is the practical maximum for conventional full-calibre projectiles. Sub-calibre projectiles such as APDS and APFSDS can achieve more, in the latter case up to 1,700 m/s in tank guns, but only by using projectiles which are very light for the calibre, usually fired from a low-drag smooth-bored barrel. Internal ballistics provide only the starting point in achieving the desired effects on the target. The design of the projectile is also significant. The two key factors are the shape of the projectile and its weight relative to its calibre. For a given calibre, a heavy projectile has more momentum and is therefore slowed down less by wind resistance. Heavy AP shot also has better armour penetration, other things being equal, and as it slows down less, this advantage will increase with range. The disadvantage of heavy projectiles is that they require much more work to accelerate to a high muzzle velocity. These conflicting demands explain the great success of sub-calibre ammunition such as APDS (and even more so APFSDS), which is extremely light for its calibre in the barrel (i.e. the calibre of the sabot) but extremely heavy for its very narrow calibre once the sabot has dropped away. There is a penalty in that the energy used to accelerate the sabot is wasted, so this is made as light as possible. The advantages of these sub-calibre projectiles are immense. For example, a modern high-velocity 25mm HE shell has a maximum range of 9,000m and will travel about 1,800m in three seconds (a reasonable limit for effective A A fire). 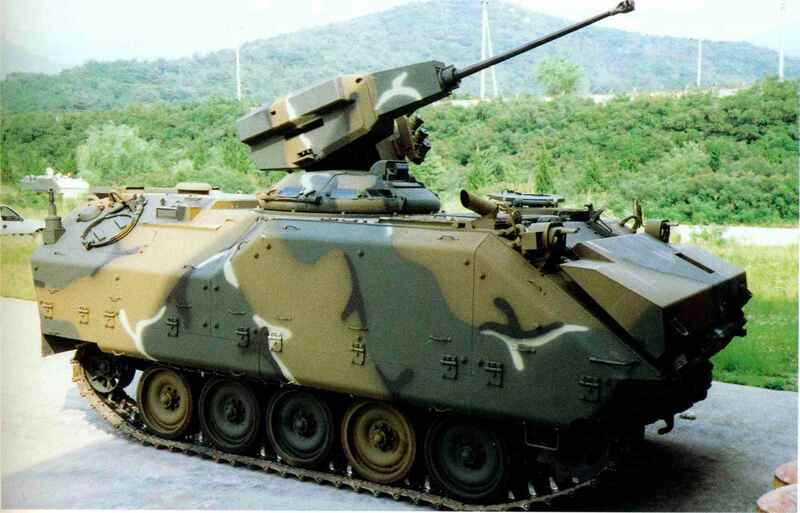 The APDS version will reach over 2,300m in the same time, and will travel to a maximum theoretical range of over 18,000m. These figures explain the attraction of the new FAPDS rounds for AA fire, in which time of flight to the target is of crucial importance to the hit probability. The fin-stabilised APFSDS shot tend to be less accurate in theoretical terms than conventional spin-stabilised projectiles, but in practice this is more than compensated for by their flatter trajectory and shorter time of flight, which combine to increase greatly the hit probability, especially against moving targets. supersonic velocities, but at subsonic speeds the shape of the base of the projectile also becomes significant. Long-range projectiles have a tapered base and are described as 'boat-tailed' or 'streamlined'. Those in larger calibres which combine this with a long, gradually tapered nose to achieve the maximum possible range are called 'extended range'. Such projectiles often have a large HE capacity and Bofors ammunition of this type is called HCER, for high-capacity extended range. Early M-Geschoss projectiles were round-based to achieve the maximum capacity and strength, but this shape tends to be unstable in flight and is not now generally used. Wind resistance can also be affected by the burning of tracer elements. The gas released by this reduces the pressure differential between the front and rear of the projectile, reducing aerodynamic drag. Furthermore, the weight and balance of tracer rounds alter as the tracer compound is burned up, all of which causes the ammunition designer great problems in matching the trajectory of tracer rounds with that of other types. It is common for this to be achieved precisely only at a specified range. The airflow smoothing effect is deliberately utilised in some long-range projectiles in larger calibres. A streamlined unit containing a combustible substance is added to the base of the projectile, adding considerably to the effective range. This is known as 'base bleed' (or 'drag-reducing fumer' in the USA) and it is commonly used with extended-range projectiles, leading to the designation ERF-BBB, the FB referring to full bore, to distinguish this from sub-calibre ammunition. The muzzle velocity achieved by a cartridge will dearly depend on the projectile weight, and this can vary considerably. It is therefore usual for the power of cartridges to be described in terms of their muzzle energy (normally expressed in joules). This is a calculation which takes into account the projectile's weight and velocity to enable comparisons between cartridges to be made. What factors contribute to better machine gun ballistics?